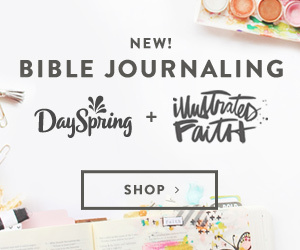 You are here: Home / Faith / Bible Journaling / Illustrated Faith | I will praise you! Her words from day 1 has been so much of what I’ve been feeling and thinking and this goes back to February of this year when I decided to actually start really sharing my art and Bible Journaling with others and not just on my personal Instagram feed. I started @apileofashesmakes on Instagram because my personal account was @apileofashes and over the summer realized that Instagram allows you to change your handle so I did just that! I have a few accounts but my personal one where I share about my family and all the things we do (church, oils, homeschooling, etc) is @theoilymommie and then my art related feed is @apileofashes <<< I would love for you to follow and introduce yourself! I was struggling in my heart with the gifts He has given me. I often feel like it isn’t good enough to share BUT y’all HE was telling me to share anyways! And since this had been 1.5 years of Him telling me this and I still was listening… I needed HIM to remove the ME in my art. I needed HIS LIGHT to shine for HIS KINGDOM. I needed to remember my style, my love for creating, my love for helping others… has never been about me, it’s always about HIM! I needed to stop thinking I wasn’t good enough. I needed to stop thinking that what the Lord was sharing with me was just for me. I needed to start serving Him in the ways He was asking me to. I don’t know if y’all struggle with wanting the gifts we don’t have because somehow they look better… which doesn’t even make any sense, but I’m just keeping it real here. I’ve always struggle with this and wondered where I fit into the life of the church. I can’t preach but want to bring the Gospel to others. I can’t sing but want to Worship and Praise and bring others to do so. … and then I realize my Art and Bible Journaling DOES JUST THAT! What gift has God given you? How are you using them for the KINGDOM?